Taking a second look today, I now think I quite like it, especially the shimmery water and tree shadow. Surely I'm not the only one to do this! This is just lovely. I do it a lot too! I used to see the expression 'ELT' used quite frequently on this site. But this one fits the bill perfectly !! Fav. capture and processing. A great shot. I like it too, the darkness of the tree against the shimmering water is beautiful. Happens to me a lot! 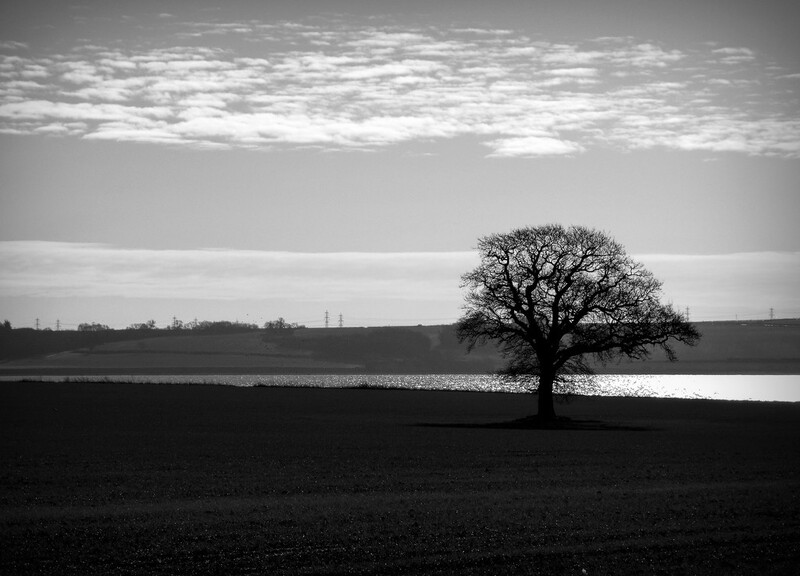 Love this B&W with that lovely lone tree. Great composition. fav. Beautiful shot and a perfect title. Lovely lighting - works really well in black and white. Gorgeous capture and composition. That lone tree looks so majestic. Beautiful in black and white!